Looking for a Swedish podiatrist? 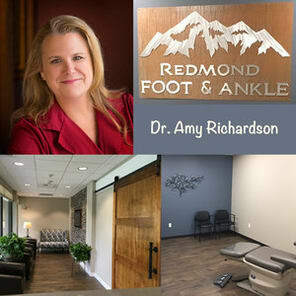 Dr. Amy Richardson is a Podiatrist credentialed with Swedish Medical Centers. If you are choosing Swedish for a foot or ankle surgery, please contact us or study the rest of Redmond Foot & Ankle. As a full service podiatry clinic, we can surely help you. Sometimes the patient first chooses their preferred hospital and then finds the surgeon. Choosing a Swedish hospital is absolutely a choice the patients of Dr. Richardson can make.